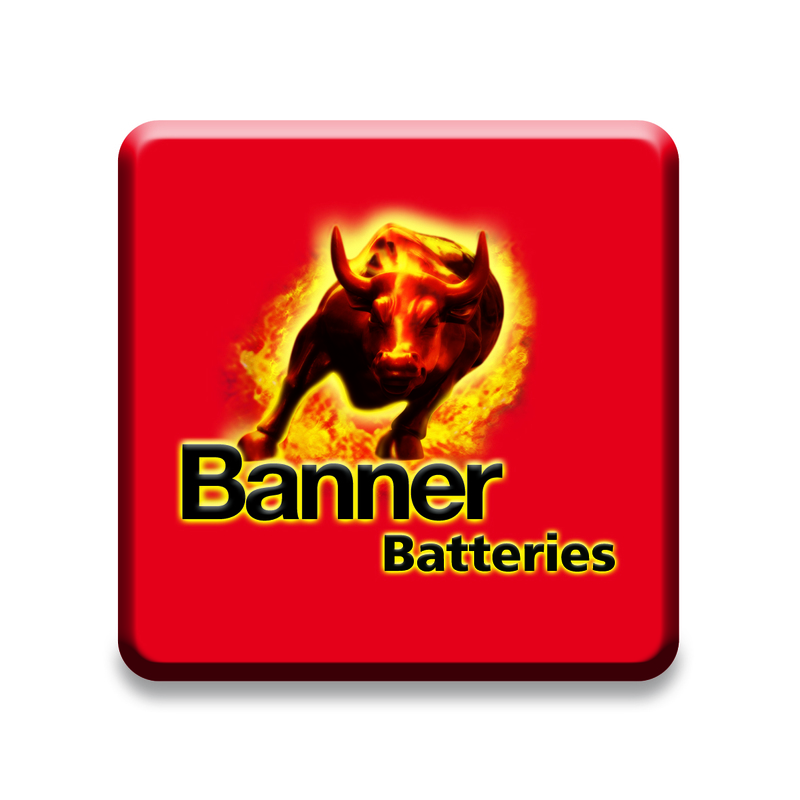 Established in Austria during 1937 and still an independent family run business, Banner Batteries is internationally acclaimed for the highest standards of service and unsurpassed product quality. The company manufactures a supreme range of high technology batteries covering cars, trucks, buses, agricultural / construction machinery and the leisure industry. Major vehicle manufacturers put their trust in the quality and performance of Banner products. Over 30% of batteries produced by Banner are fitted as Original Equipment by leading names including Aston Martin, Audi, BMW, Caterham, Chrysler, Mercedes-Benz, Mitsubishi, Morgan, Porsche, Suzuki, Volvo, Volkswagen, Skoda, Scania, MAN, Caterpillar, Dethleffs Hymer, Kassböhrer, Liebherr, Bomag, KTM, Rammax, Aixam, Jungheinrich, etc..